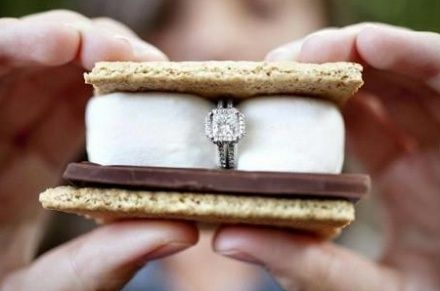 Chocolate Marriage Proposal Ideas to Make her Swoon! Marriage proposal ideas are ever evolving – from hot air balloons to beach sunset wedding proposals. There is an array of choice for the modern day couple. But the key to a fantastic wedding proposal is personalization! The more personalized the better. You might be on a cruise ship on the Royal Caribbean cruise with the most beautiful setting, but the personalized element of your marriage proposal will make everything else look dull in the light of it. 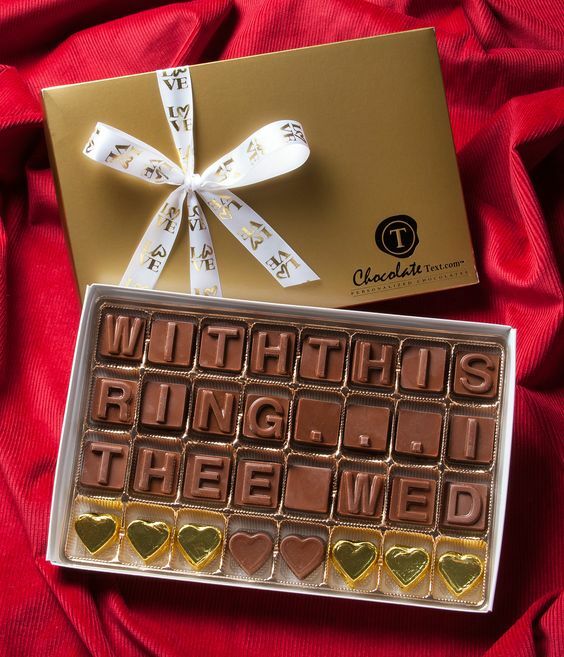 In the honor of world chocolate day – we guessed why not personalize your wedding proposal with these heart touching proposal ideas? Girls world over will agree, that after diamonds (and puppies) chocolate IS really a girl’s best friend. Our constant PMS help, our happiness and sorrow sharing buddy as well as our every birthday cake flavour since we were 1 - So in the light of world chocolate day, use these cute marriage proposal ideas to steal your girl’s heart! 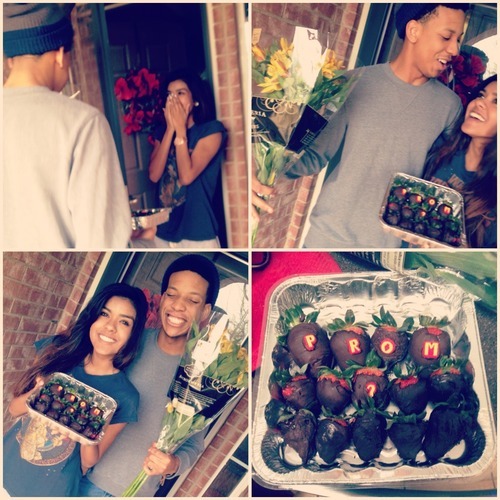 Chocolate dipped stawberries and a bunch of fresh flowers is sure to make your girl go weak in the knees! 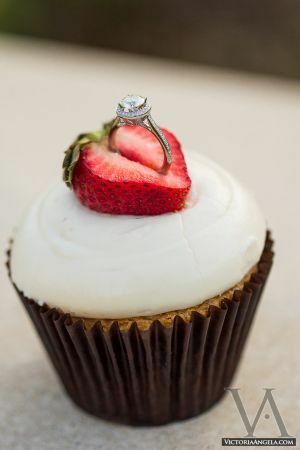 Or perhaps a cute little cupcake with the most expensive topping a cupcake could ever have? Surprise your girl after a hot cuppa hot chocolate to make things happy-happy. 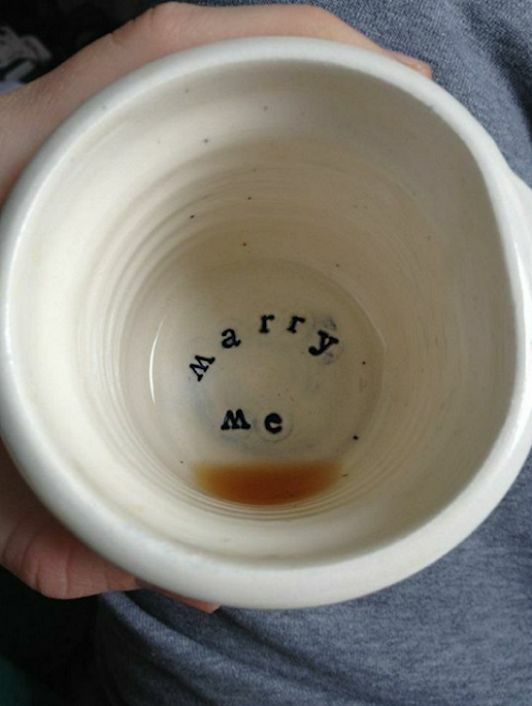 Hot chocolate followed by a wedding proposal is the right way to do it! Nothing goes better with a chocolate cupcake topped with buttercream icing than a Tiffany and Co's gorg diamond ring, right?! 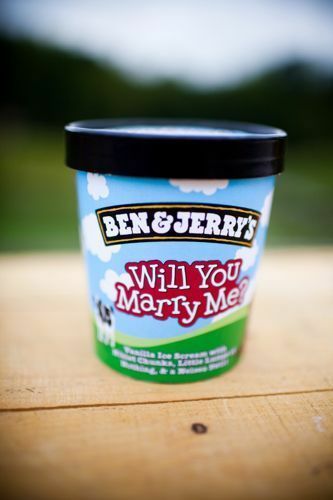 Or a scoop Some Ben & Jerry's personalized to celebrate your special love for the ice-cream loving-warm-hugging-summer-crazy kinda girl! 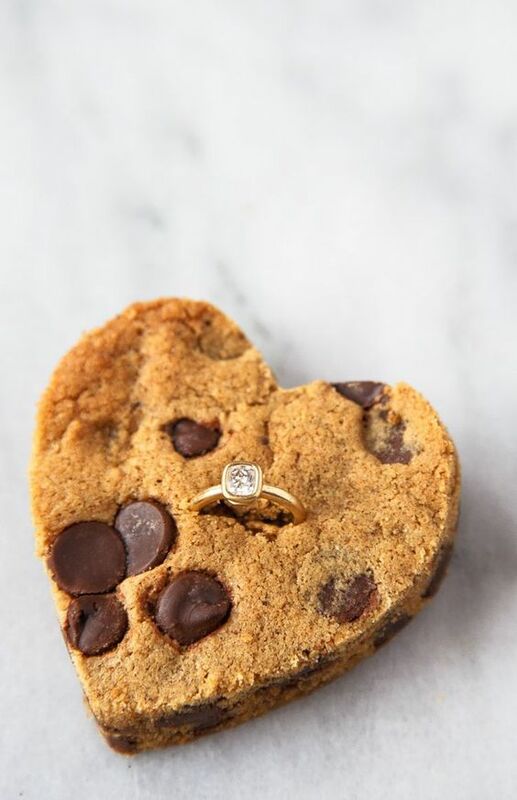 Let's face it - NOTHING in the world says I love you better than someone sharing their chocolate chip cookie with you! 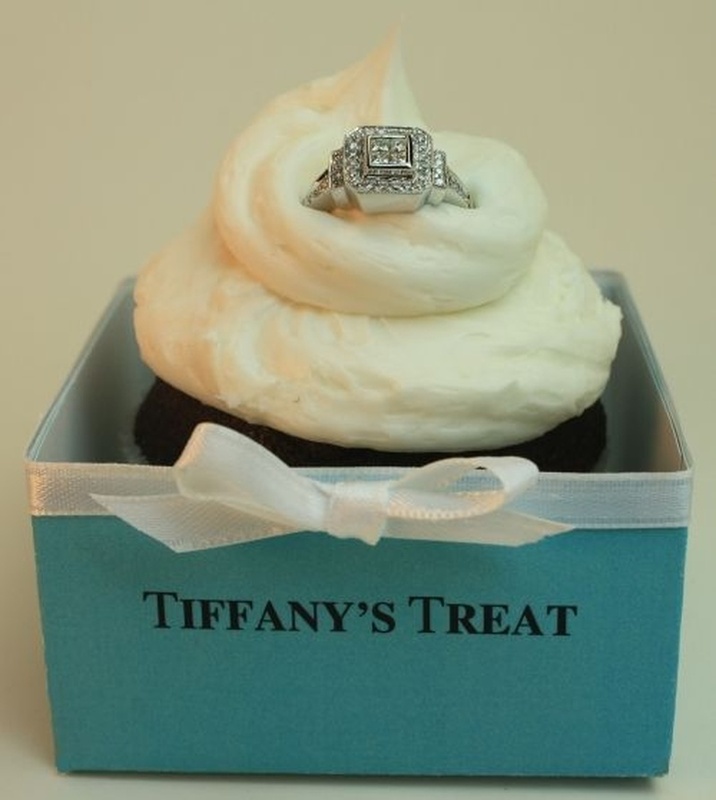 Perhaps use a chocolate ring box to present your engagement ring in - A tasty treat to snack on after the deal has been sealed! No greater love than the love for Nutella right? 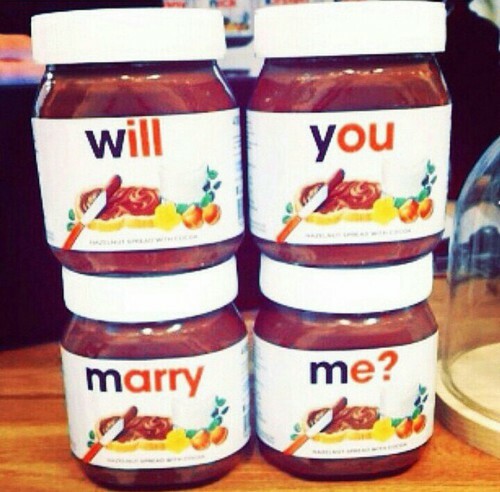 Pop the question with her favorite comfort food and leave her feeling all warm and mushy inside - Just like Nutella! 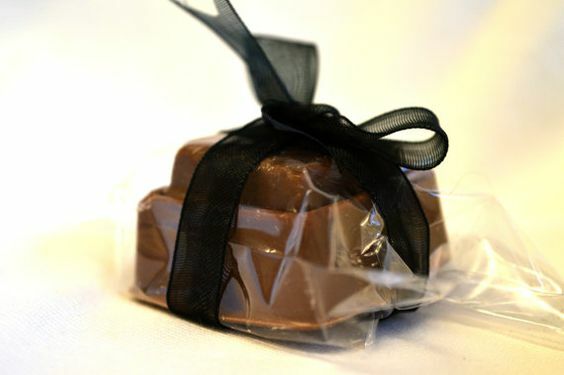 Present your words on chocolate to bring a new meaning to the "Sweet Nothings" you say to her. 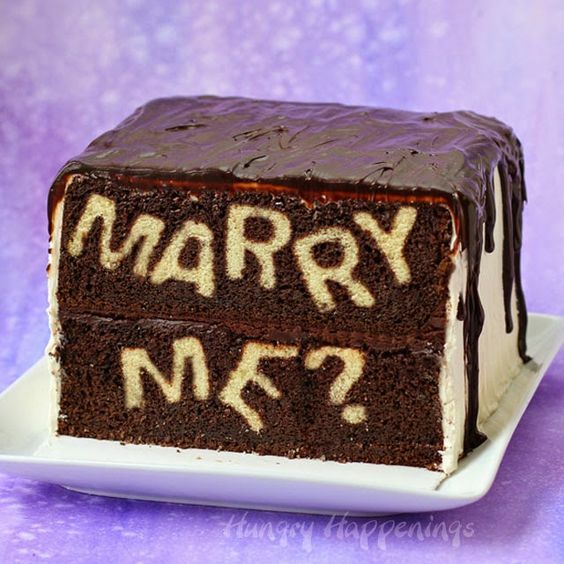 Secret "Marry Me" Cake - let her cut into a chocolaty surprise that will leave her spellbound!